Now that Democrats have retaken the majority in the House of Representatives, the race for House Speaker is on with Nancy Pelosi in the lead. The day after the election, President Trump held a press conference and expressed disappointment in Republican candidates who lost, but a new poll shows he has something to celebrate. 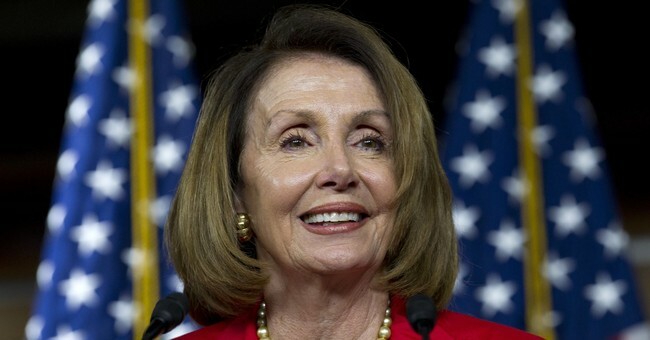 According to the latest survey from Rasmussen Reports, Nancy Pelosi is more unpopular across the country than President Trump. A new Rasmussen Reports national telephone and online survey finds that 45% of Likely U.S. Voters think Trump is at least somewhat likable, including 27% who think he’s very likable. Fifty-five percent (55%) think Trump is not likable, with 43% who believe he’s not at all likable. By comparison, Pelosi is viewed as likable by 35% of voters. Fifty-seven percent (57%) don’t think the California Democrat is likable. These figures include 10% who say Pelosi’s very likable and 35% who say she is not at all likable. Further, President Trump has a larger coalition and backing from Republicans than Pelosi does from Democrats. A closer look at the numbers shows that most Republicans (76%) see Trump as likable. Fifty-five percent (55%) of Democrats feel that way about Pelosi, but a sizable 34% don’t think she’s likable. Given these numbers, President Trump's 2020 prospects still look good. Not to mention, Pelosi may spend more time over the next two years fighting with her own caucus than with the White House.